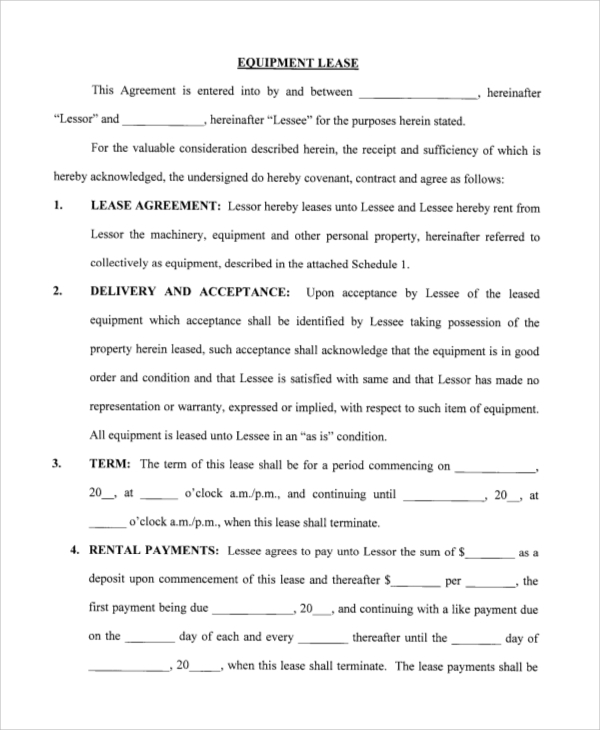 A lease agreement is a contract between the lessor, the person who is giving something on lease and the lessee, who is taking something on a lease. 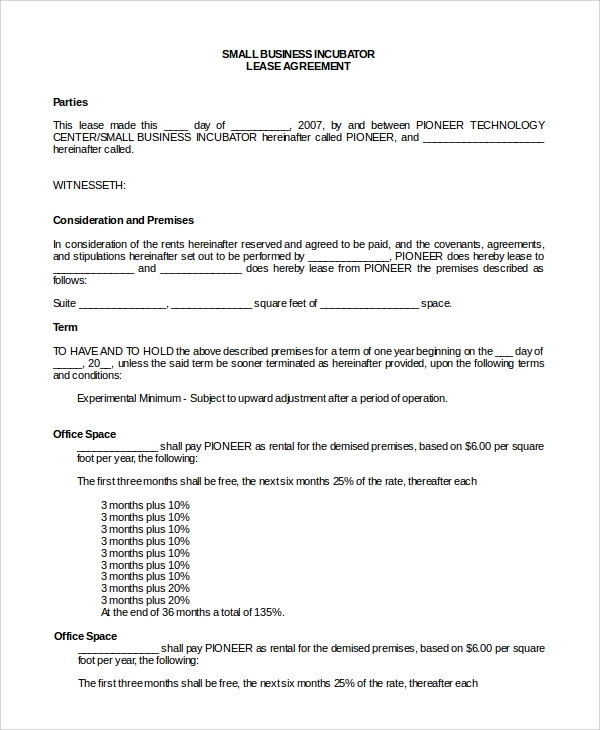 This contract is put on a paper by a lease agreement. 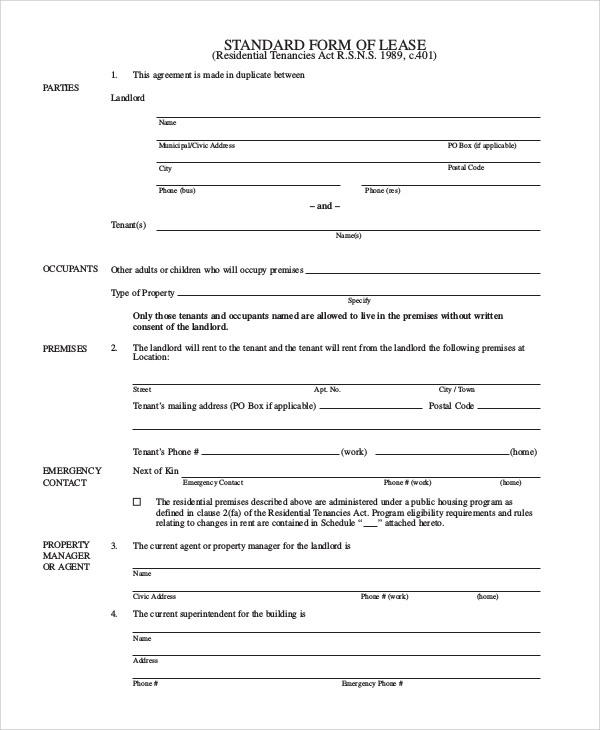 Lease agreement forms are to be filled when a lease contract is finalized. 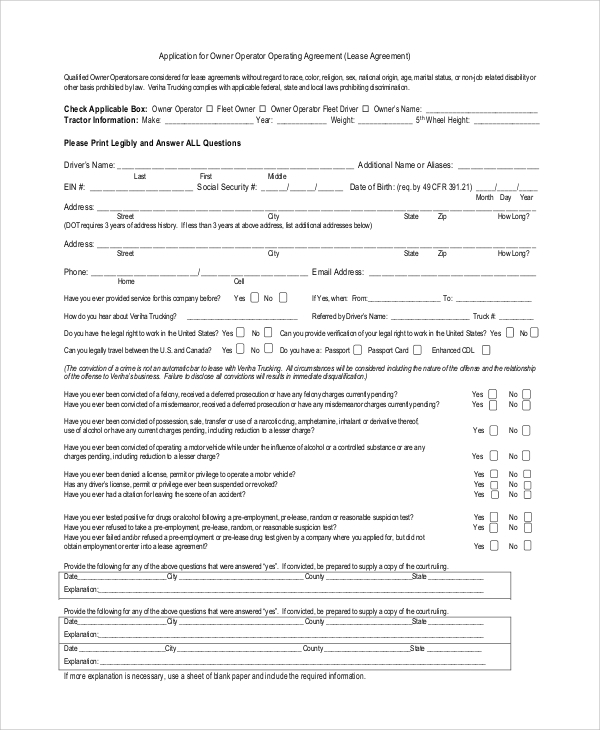 These forms should be well drafted, and sample agreements should be referred before drafting. 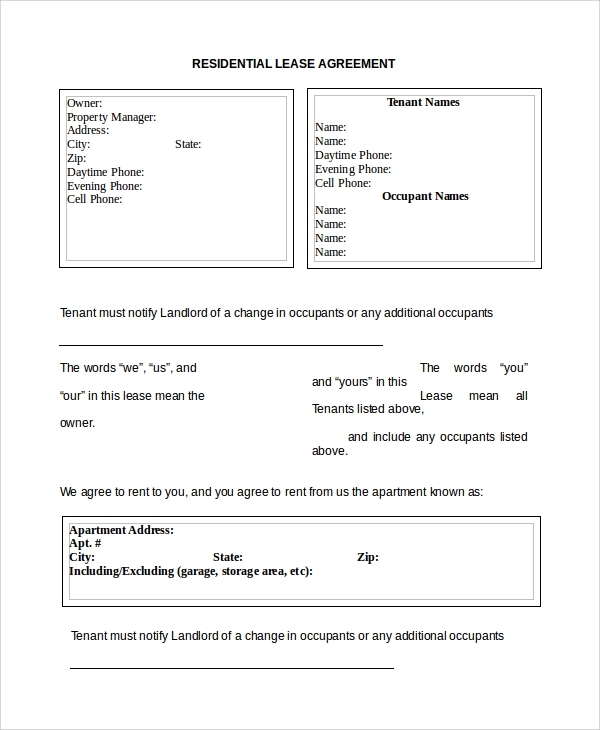 There are many types of Sample Forms depending on various subjects of the lease. 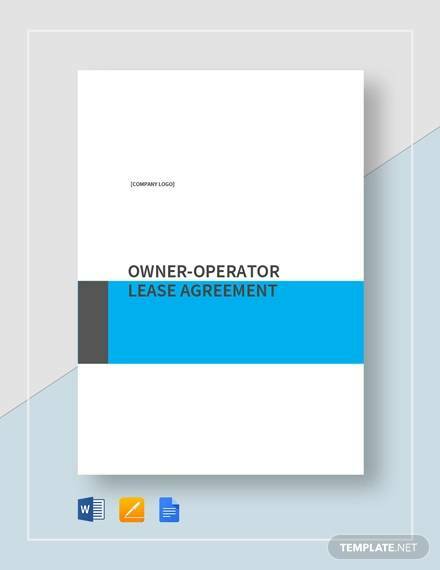 Owner operator lease agreement forms are drafted for the lease agreements of hiring vehicles for business purpose. 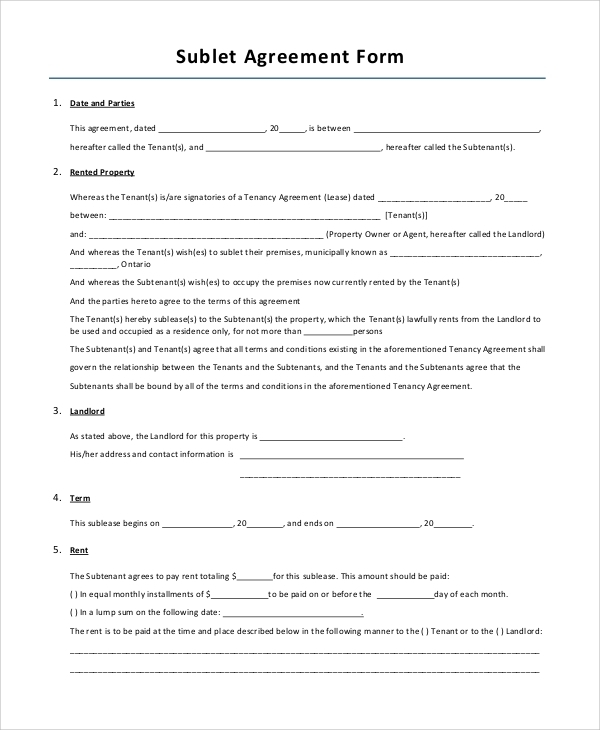 All personal details and also details regarding owners business must be mentioned in this lease agreement form. Subletting in simple terms means renting a property. This can be done only with the permission of the landlord or else it is considered illegal. It is to be mentioned in the lease agreement form that the person subletting the property has the permission of the owner of the property. 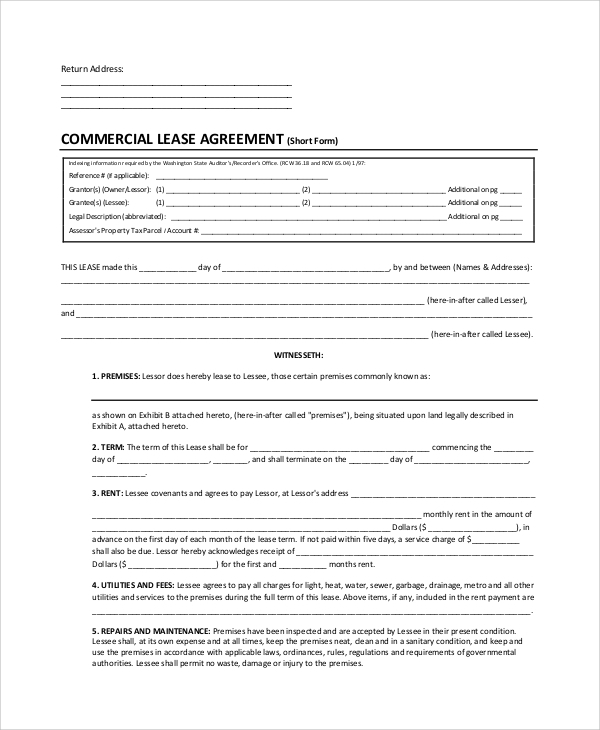 This type of lease agreement form is for the purpose of leasing a property for commercial use only. The details of payment of monthly expenses of the property must be mentioned. 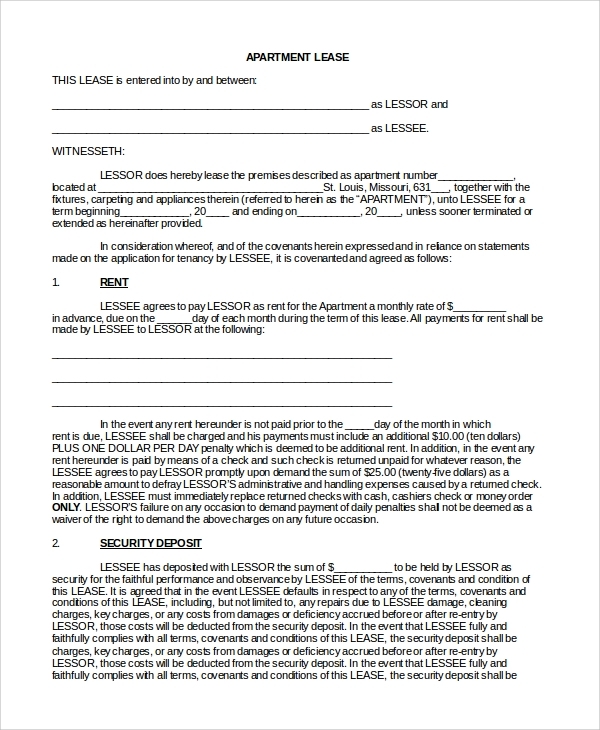 What are the benefits of these Lease Agreement Forms? 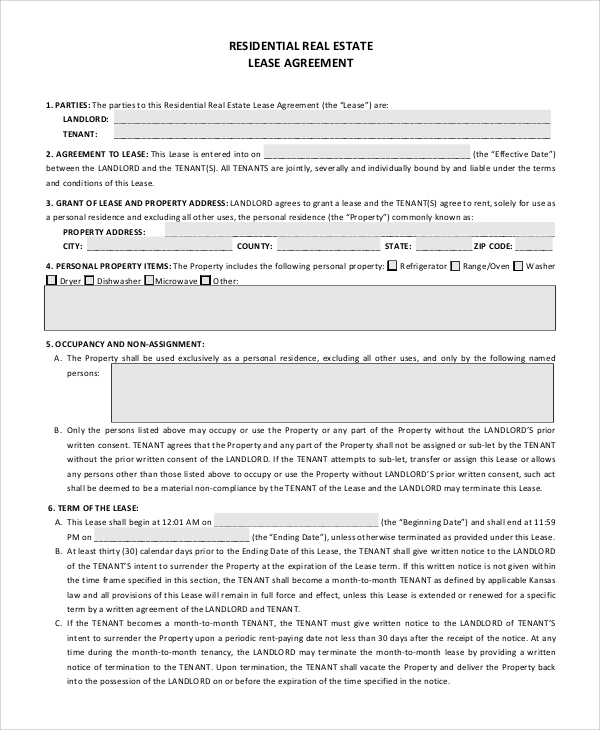 Sample Lease Agreement Forms are considered to be an important legal document as the contract is signed by both the lessor as well as the lessee. 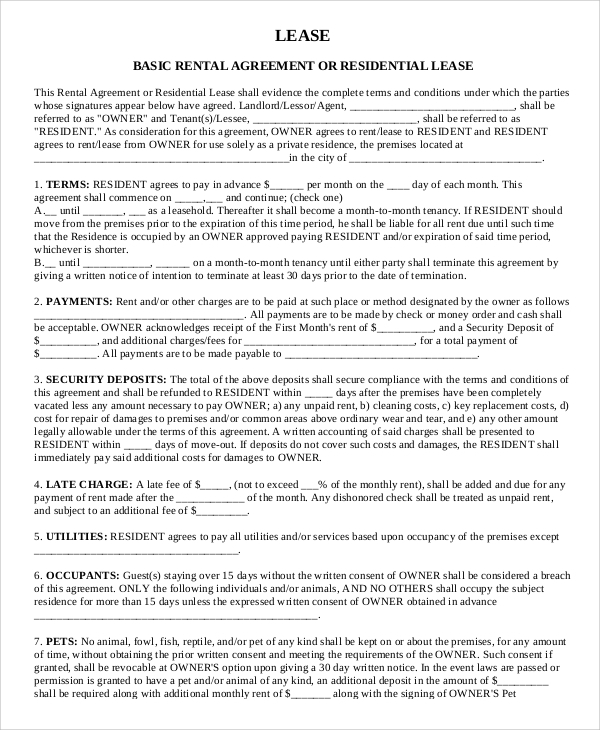 These forms contain all the essential details of the lease and are agreed upon by both the parties to the contract. Once the contract is signed, all the terms and conditions must be adhered and thus, it helps to maintain discipline by both the lessor and the lessee as violating the terms and conditions stated in the lease agreement form would lead to legal consequences for the concerning party. Thus the legal agreement is essential for both the parties. Business lease agreement form is drafted neatly with all the specifications which are required to be mentioned for the purpose of business. These agreements are usually used for taking corporate offices on rent. Real estate lease agreement is used for renting a property for residential purpose or in other words; for domestic use. The details of all the people that would be accommodating the house must be mentioned in the lease agreement form. Who is the target audience for the Lease Agreement Forms? The target audience for Samples of Lease Agreement forms are the people who are looking forward to renting their property, equipment or any other subject of the lease. Some people have a business of leasing and make money only through leasing and subletting property and equipment. Another party which is a target audience for these forms is the tenant party. The tenants draft their lease applications after referring to the sample tenant application forms and thus, it is also essential for them to have a look at the lease agreement forms to check if they are correctly drafted, and all their requirements are taken care of. Without a Sample Renters Agreements, a lease contract cannot take place and hence it is mandatory for both the parties to sign the agreement. It is the responsibility of the lessor to draft the agreement form carefully, and for doing that sample renters, agreements can be of help. The responsibility of a lessee is to check if the terms and the conditions in the form are drafted as per the agreement or not.